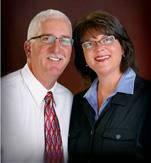 Augie and Calla have lived in San Benito County since 1989 and cherish the true sense of the local community. Living in Gilroy previously, they feel they have a special connection with the South Santa Clara County community as well. Married since 1981, they began their real estate partnership in 1994. Their search for a real estate office that mirrored the Bertao’s philosophies of hard work and integrity has lead them to a journey of opening their own real estate company, Bertao Real Estate Group. In August of 2007 they opened their office and soon after were joined by many high energy, seasoned real estate professionals. Augie brings both a financial and management background to the Bertao team. He is fluent in Portuguese and Spanish, providing excellent service to multi-lingual clients. Augie is certified as an e-PRO Internet Professional. This National Association of Realtors designation gives him the knowledge and skills to put the power of the Internet behind all his client’s real estate transactions. Calla is a respected REALTOR with excellent connections in the community and over 20 years of award-winning real estate success: success built through a family legacy of respected real estate service. In 2003 Calla received her Certified Residential Specialist (CRS) designation from the National Association of REALTORS. The CRS is the highest designation awarded to REALTORS who meet its stringent requirements. Augie and Calla Bertao are well known throughout the community as providers of personal, vigilant and superior real estate service. Augie and Calla are full-time professional REALTORS® with over 38 years of combined experience in the real estate industry who have recently opened their own real estate company. They specialize in client negotiation and relocation services and serve the San Benito County area, including Hollister, San Juan Bautista, Aromas and Tres Pinos, as well as southern Santa Clara County including Gilroy and Morgan Hill. Augie and Calla are both members of the San Benito County Association of REALTORS®, of which Calla is a past president and Augie currently serves as board secretary. They are also active with the California Association of REALTORS® and the National Association of REALTORS®. Both uphold a strict code of ethics and ensure that their members are up to date on the latest marketing techniques and legislation affecting real estate. Outside of real estate, Augie and Calla are members of the Hollister and Gilroy Portuguese Community Associations as well as the San Benito County Chamber of Commerce.